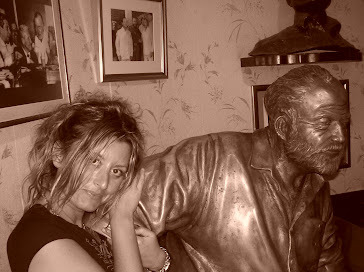 It was our mutual love of Italy that initially connected me to Ernest Hemingway. I would enter a hotel lobby or a bar and see a plaque indicating that had been there. Even Ernest Hemingway Park, a playground owned by Ernest and situated near my grandparents beach condo in northern Italy was no exception. This became an odd but regular occurrence not just in Italy, but also on my other travels. By visiting locales he had frequented, reading his letters and legendary novels, he has become my friend - in the spiritual sense. Ernest and I share the same love of culture, art, history, travel, adventure and we both have a knack for learning languages. Like me, he spent hours in nature and had a love for the Alps. He loved oysters, wine and smoking Cuban cigars. He had an insatiable appetite for anything he was passionate about, was extremely curious but easily bored. His dislikes, which were many, are also similar to mine. He could have been my brother! When I was around ten years old and I began exploring my father’s book collection. Dad, having a love for literature, encouraged me to read at an early age giving me the novel, Little Women when I was just eight years old. All the books in our house were challenging as they were mostly Italian editions and their material not intended for the light reader. Those that profoundly resonated for me were For Whom the Bell Tolls, The Sun Also Rises and A Farewell to Arms, all written by Ernest. I was surprised to learn that the two major locations in A Farewell to Arms are set in the Isonzo of Friuli, where my mother’s family originates from, as well as Lake Maggiore, my father’s ancestral home and the place of my birth. He described the Battle of Caporetto where my great-grandfather, Gioacchino Menis, lost his leg from a hand grenade in WWI. Ironically, Ernest was afflicted with the same injury, during the same war, in the same geographical area but his leg was saved. Besides living in China, Paris and Key West, I later learned he had lived in Toronto, my hometown, as well as Havana, one of my most beloved places on Earth. Ernest was indeed a kindred spirit! 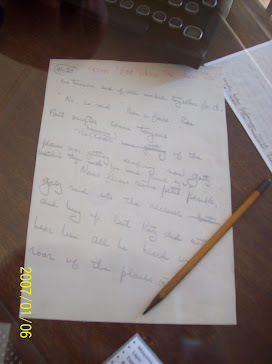 He described fly fishing in the Isonzo River in Across the River and into the Trees. 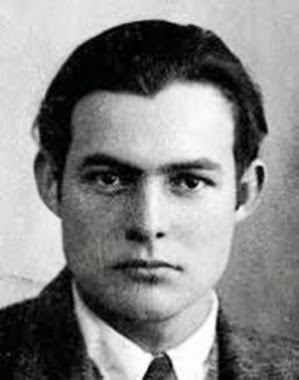 He also wrote letters to his family, now published in The Letters of Ernest Hemingway 1907-1922, describing eccentric aristocrats he had met during his stay on Lake Maggiore. He wrote his family that he was ‘speaking Italian like a native’ and that people actually believed he was Italian because of his Mediterranean looks. Perhaps, for a time he wanted to believe that too. 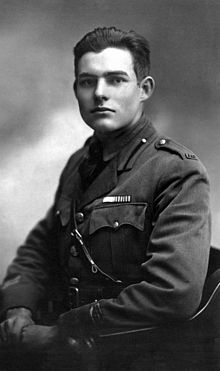 It was in Italy during the Great War that he first felt the joy and the eventual heartbreak of romantic love when he met Red Cross nurse, Agnes von Kurowsky, who then rejected him for an Italian count. It was during this time in Italy that he first became conscientious of his mortality when he almost perished from a hand grenade while carrying a man to safety during battle. For this act he was awarded the Silver Medal for Bravery by the Italian government. Ernest, then an ambulance driver for the American Red Cross, experienced the pain of death and then the peaceful soaring of his soul rising above his body. 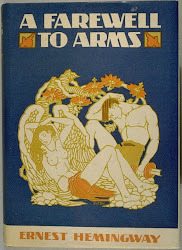 His near death experience and relationship with Agnes were later depicted via his own personal roman a clef character, Frederic Henry, in A Farewell to Arms. According to mystics and Buddhists alike, NDEs (Near Death Experiences) profoundly change the individual by connecting him or her to their life purpose. The disembodied soul reaches a level of spiritual awakening and brings this wisdom back to the body. Apparently it did in Ernest’s case. 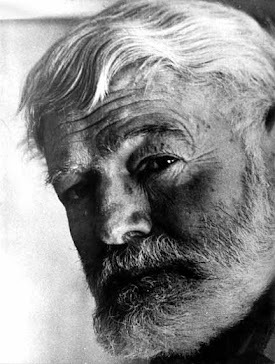 After the war he went on to become one of the most acclaimed authors of our time leaving memorable works such as A Moveable Feast and The Old Man and the Sea. During WWII he became a war correspondent for the Toronto Star newspaper. He wrote short stories, articles and numerous best sellers which led him to win the Nobel Prize in Literature in 1954. Even after death some of his works, such as Islands in the Stream, were published posthumously. His stories have reached the Hollywood screen and our school curriculums. 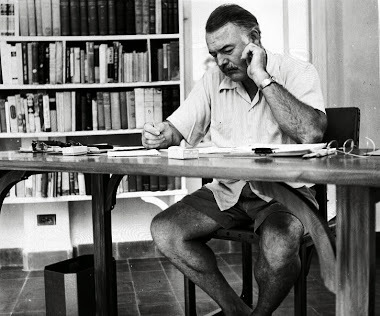 He was the creator of the minimalist style, using short paragraphs and sentences with very few adjectives. Contrary to his predecessors, Tolstoy and Dickens, he made reading very easy for the general population, hence his global success. Critics accused him of using this style because of his lack of education. His father Clarence, a physician and inventor of some surgical implement still in use today, was unhappy with his son’s decision not to attend university and follow in his footsteps. Ernest saw travel as education and his greatest desires were simple; to love many and to live a life full of adventure. Ernest continued to visit Italy throughout his lifetime, writing at the Hotel Borromeo in the Lake District, falling in love once more in Bassano Del Grappa in the Veneto as well as spending endless time fishing on the banks of the Isonzo River. The Sister City of his final home in Ketchum, Idaho is Lignano Pinetta, a tiny beach village on the Italian Adriatic. Ironically, my family owned property in Lignano Pinetta where I spent much of my childhood and teen years playing in the sand, oblivious at the time that Ernest had been there too.